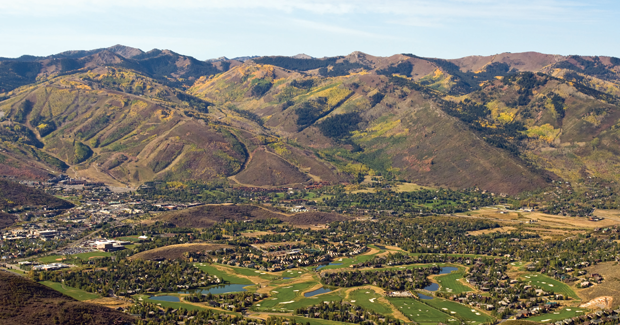 Homes for sale in Park Meadows offer owners the chance to enjoy one of the best neighborhoods in the Park City. There are Single Family homes, Town homes, and Condos for sale in Park Meadows which allows Buyer to enjoy the type of real estate they wish. Park Meadows real estate is tucked away in a quite neighborhood, that offers great views of the ski resorts, or golf course. Most of the Single Family homes in Park Meadows are primary residences, which creates a real sense of neighborhood. The Homes for sale in Park Meadows offer something for everyone. You can obtain massive sweeping views of the ski resorts, or be in “the flats”. The Park meadows area in Park City is conveniently located in town, and makes for a perfect off mountain alternative choice for homeowners, who still wish to enjoy all the amenities. There is a lot of Park Meadows Real Estate that borders the Park Meadows Country Club. The rest gradually creeps up the mountain side, and captures the massive views! Park Meadows is now home the the brand new MARC (formally know as- The racquet Club) fitness center which offers tennis courts, pool facilities, hot tub, steam room, indoor rock climbing wall, and amazing fitness area. This building has become a huge asset to the Properties in Park Meadows. The Park Meadows area in Park City Utah backs up to the newly renovated Park City High School as well as Treasure Mountain Middle School and McPolin Grade School . This makes owning Real Estate in Park Meadows easy and safe for you and your children to access these wonderful schools. There remains hardly any Land for sale in Park Meadows given the community is essentially built out. This should ensure real estate values and keep up high demand in this unique neighborhood. The many amenities, easy ski access, Golfing are big driving forces to Park Meadows Real Estate.